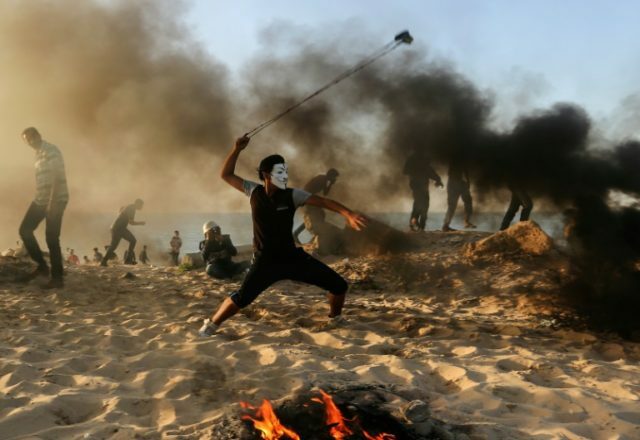 The Times of Israel reports: Some 10,000 Palestinians protested along the Gaza border fence on Friday, with some burning tires and throwing rocks and firebombs at soldiers who responded with tear gas and occasional live fire. The Hamas-run Gaza heath ministry said 33 people were wounded, but it was not immediately clear how many were hit by live fire. This was the fourth week in a row that Hamas security forces kept most demonstrators away from the fence following a ceasefire with Israel after a major flareup last month. The IDF said Palestinians had not managed to breach the border fence and there were no injuries reported among Israeli forces.